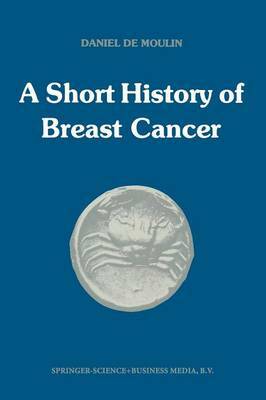 The Third Breast Cancer Working Conference of the Breast Cancer Cooperative Group of the European Organization for Research on Treatment of Cancer, to be held in Amsterdam on April 27-29, 1983, was the principle motive for writing this book. It was feh that a short review of the main pathogenetic conceptions and therapeutic principles which have presented themselves with regard to mammary cancer in the Course of Western history , might help to draw a more complete picture of where we stand today. It is not easy to decide which ideas, although discarded, deserve yet to be remembered and which authors from the past may be considered to be truly representative of the scientific climate of their age. Twenty centuries have produced quite a lot of ideas and the number of medical authors who advanced, or rejected, or modified, or revived them, is really uncountable. So the historian has to make a selec- tion and choices are perforce subjective and open to criticism. In writing this book I tried to consult original sources in the original language as much as possible. These sources were not always strictly medical since I aimed at placing the problem of malignant breast disease - which might serve as a paradigm of cancer in general - in a somewhat wider context. For the history of medicine is not only a history of ideas, but also that of people, of institutions, of society.